Dr. Steven Bird and his staff are committed to providing the best service and quality eyecare possible through the use of state of the art ophthalmic equipment, procedures and technologies. 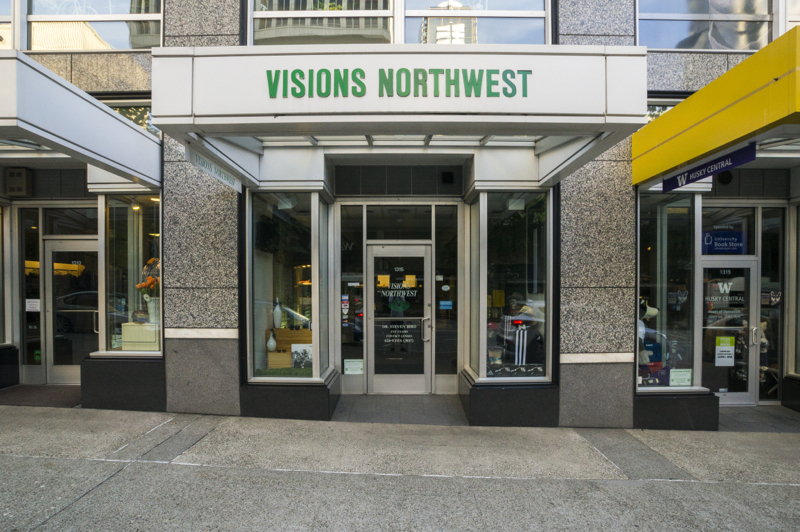 We are located on 4th between Union and University at street level, between the Pendleton and Husky shops. Patients can find street parking (until 4pm) or park in one of the nearby lots like the Cobb or Republic. Visioffice produces "the next generation of lenses"
This exclusive, cutting edge technology provides our opticians with the most precise measurements possible. The Visioffice tracks vision behavior so that we can create a customized digital lens for our patients- whether they need multifocal or single vision lenses. Having trouble making that final decision on your frame? We can also use the machine's camera to take photos (or a short video) and email them to friends and family.